The New Press’s publication of Faceless Killers was widely praised by American reviewers. In its starred review, Booklist called it “a superior novel—and a harbinger of great things to come.” With the publication of The White Lioness, that promise is now fulfilled. Inspector Kurt Wallander returns in the second of Henning Mankell’s award-winning, internationally bestselling detective series, this time to investigate a horrific crime in his Scandinavian homeland somehow linked to a troubled apartheid-era South Africa. When the tenacious sleuth’s search for the truth behind the execution-style killing of a Swedish housewife uncovers a plot to assassinate Nelson Mandela, Wallander finds himself in a tangle with the South African secret service and a ruthless ex-KGB agent. 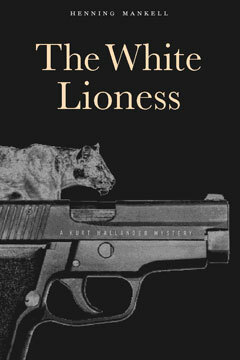 Combining heart-pounding suspense with probing social commentary, The White Lioness is certain to win new American readers for this master of the detective genre.